Lipitor (atorvastatin) is used along with diet, exercise, and weight-loss to reduce the risk of heart attack and stroke and to decrease the chance that heart surgery will be needed in people who have heart disease or who are at risk of developing heart disease. Lipitor (atorvastatin) is also used to decrease the amount of cholesterol (a fat-like substance) and other fatty substances in the blood. This will decrease the risk of stroke, heart attack, and other heart diseases because when there are high levels of cholesterol and other fats in the blood, these substances may build up along the walls of the blood vessels and decrease or block blood flow to the heart. Lipitor (atorvastatin) is in a class of medications called HMG-CoA reductase inhibitors (statins). It works by slowing the production of cholesterol in the body. Lipitor (atorvastatin) comes as a tablet to take by mouth. It is usually taken once a day with or without food. 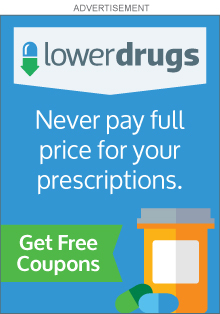 Take Lipitor (atorvastatin) at around the same time every day. Follow the directions on your prescription label carefully, and ask your doctor or pharmacist to explain any part you do not understand. Take Lipitor (atorvastatin) exactly as directed. Do not take more or less of it or take it more often than prescribed by your doctor. Continue to take Lipitor (atorvastatin) even if you feel well. Do not stop taking Lipitor (atorvastatin) without talking to your doctor. tell your doctor and pharmacist if you are allergic to Lipitor (atorvastatin) or any other medications. tell your doctor and pharmacist what prescription and nonprescription medications, vitamins, nutritional supplements, and herbal products you are taking or plan to take. Be sure to mention any of the following: antifungal medications such as itraconazole (Sporanox) and ketoconazole (Nizoral); cimetidine (Tagamet); clarithromycin (Biaxin); digoxin (Lanoxin); diltiazem (Cardizem, Cartia, Taztia, Tiazac); erythromycin (E.E.S., E-Mycin, Erythrocin); efavirenz (Sustiva, in Atripla); oral contraceptives (birth control pills); other cholesterol-lowering medications such as fenofibrate (Tricor), gemfibrozil (Lopid), and niacin (nicotinic acid, Niacor, Niaspan); certain medications used in combination for HIV such as ritonavir and lopinavir (Kaletra) and ritonavir (Norvir) taken with saquinavir (Invirase); medications that suppress the immune system such as cyclosporine (Neoral, Sandimmune); rifampin (Rifadin, Rimactane); and spironolactone (Aldactone). Your doctor may need to change the doses of your medications or monitor you carefully for side effects. tell your doctor if you have or have ever had liver disease. Your doctor will probably tell you not to take Lipitor (atorvastatin). tell your doctor if you consume more than 2 alcoholic beverages daily and if you have or have ever had muscle aches or weakness; diabetes; or thyroid or kidney disease. tell your doctor if you are pregnant or plan to become pregnant. If you become pregnant while taking Lipitor (atorvastatin), stop taking Lipitor (atorvastatin) and call your doctor immediately. Lipitor (atorvastatin) may harm the fetus. if you are having surgery, including dental surgery, tell the doctor or dentist that you are taking Lipitor (atorvastatin). ask your doctor about the safe use of alcoholic beverages while you are taking Lipitor (atorvastatin). Alcohol can increase the risk of serious side effects. Avoid drinking large amounts (more than about 1 quart, 1 liter every day) of grapefruit juice while taking Lipitor (atorvastatin). Lipitor (atorvastatin) may cause other side effects. Call your doctor if you have any unusual problems while taking this medication. Keep all appointments with your doctor and the laboratory. Your doctor will order certain lab tests before and during treatment to check your body's response to Lipitor (atorvastatin). Before having any laboratory test, tell your doctor and the laboratory personnel that you are taking Lipitor (atorvastatin).